2014 is a year which marks many historic anniversaries such as the centenary of the First World War, twenty five years since the fall of the Berlin Wall, and today NATO’s 65th anniversary of its foundation. On 4 April 1949 the North Atlantic Treaty Organisation (NATO) was created by the United States, Canada and several Western European nations, including the United Kingdom. Over the following decades many nations have joined the alliance which now presently consists of 28 independent nations with the essential purpose to safeguard the freedom and security of its members through both political and military means. Today, 4 April 2014, marks NATO’s 65th anniversary since its founding. As the largest peacetime political and military alliance in the world, NATO continues to remain significant in global affairs for peace and stability. The 2014 NATO Summit is to be hosted by the UK in Newport, Wales in September and will mark the Alliance’s 65th anniversary. This is the third time the UK has hosted a NATO Summit since it first held the event in1977. The last time NATO came to the UK was in 1990, a historic year in which the Cold War came to an end. The summit will highlight further occasions such as Hungary, the Czech Republic and Poland, among other Allies, commemorating 15 years of NATO membership. Equally, the Summit will recognise 20 years of successful NATO partnerships, close and formalised relations with countries outside the Alliance. The Partnership for Peace programme (PfP) and the Mediterranean Dialogue were both established in 1994 and have achieved 29 partnership countries between them. NATO’s heads of state and government will also bid farewell to NATO Secretary General Anders Fogh Rasmussen after five years in office and formally welcome his successor Jens Stoltenberg, twice Norwegian PM, who will acquire the position from 1 October 2014. The summit will also discuss the withdrawal of all combat forces from Afghanistan. The NATO led International Security Assistance Force (ISAF) has been supporting the Afghan National Security Forces (ANSF) in the conduct of security operations throughout the country since 2003. Afghanistan has determined the strategic thinking, military planning, organisation of force structures and procurement decisions of 50 allies and partners for more than a decade. Since 2011, the Afghans and ISAF’s mission has shifted from a combat-centric role to a more enabling role focusing on training, advising and assisting its Afghan partners. This has all been leading to the completion of transition to full Afghan security responsibility at the end of 2014 and the termination of the NATO-led ISAF’s mission in Afghanistan. NATO’s crisis management departure from such countries as Afghanistan and Libya has presented a central question of ‘what is the future purpose of NATO?’ However, since the Russian annexation of Crimea the issues in Ukraine have appeared to reboot substantially the importance and need for NATO. Many Eastern European and Baltic states accordingly seek reassurance that they will be defended and protected against potential aggression from Russia under Article 5 of the Washington Treaty; if an armed attack against one or more member states occurs fellow members will assist the Party or Parties so attacked by taking, individually and in concert with the other Parties, such action as it deems necessary, to restore and maintain the security of the North Atlantic area. By occupying Crimea Russia has also violated the Budapest Memorandum, a diplomatic memorandum signed by the then-rulers of the USA, UK, Russia and Ukraine, Bill Clinton, John Major, Boris Yeltsin and Leonid Kuchma respectively, in 1994 to uphold the territorial integrity of Ukraine, in return for Ukraine removing all Soviet-era nuclear weapons from its territory. The Ukraine crisis is consequently set to become a main focus of the summit this year regarding the current state of affairs in Russia, Ukraine and Crimea, the necessary actions needed, and the reinstated future importance of NATO in international affairs for the common defence of the NATO area. Finally, as well as other topics to be discussed, the summit will deliberate NATO’s narrative in the Post-2014 era. NATO members will assess the next phase in the Alliance’s evolution, so that it continues to be effective in a changing world, against new threats, and with new capabilities and partners. The September 2014 NATO Summit in the UK therefore appears to become another pivotal moment in the history of the Alliance. Throughout the years Wilton Park has held many conferences dedicated to and around NATO with our most recent event in March focusing on one of the main themes of the upcoming summit, NATO’s post 2014 strategic narrative. This conference was held and structured in preparation for the summit later this year to discuss and contribute to the agenda and content that will feature in Wales. The conference assembled senior NATO and member state officials, parliamentarians, journalists, and defence and security experts to identify the elements of a post 2014 strategic narrative for NATO and how to communicate it to member state politicians and publics. Through a combination of plenary sessions and break out groups the conference discussed core themes such as an assessment of NATO 25 years since the fall of the Berlin Wall, risks and threats to the security interests of NATO in the contemporary and future strategic environment, and NATO’s role in harnessing the political and military power of its member (and partner) states to provide security in the current and future strategic environment. The conference also heavily discussed the recent events in Ukraine, the implications of Russia’s annexation of Crimea and the subsequent role of NATO regarding this situation. 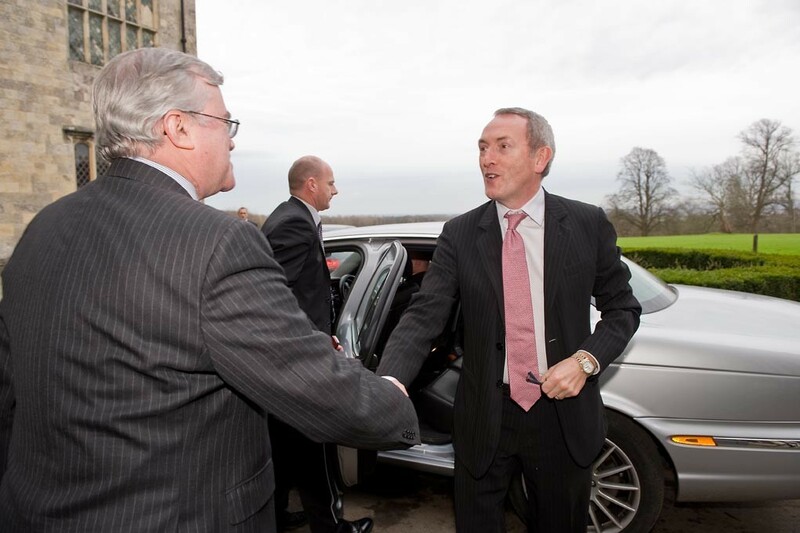 For the last two decades Wilton Park has held conferences to mark NATO’s significant milestones and discuss the future of the Alliance accordingly. In 1999 Wilton Park held a conference titled NATO at 50 and in 2009 NATO at 60. 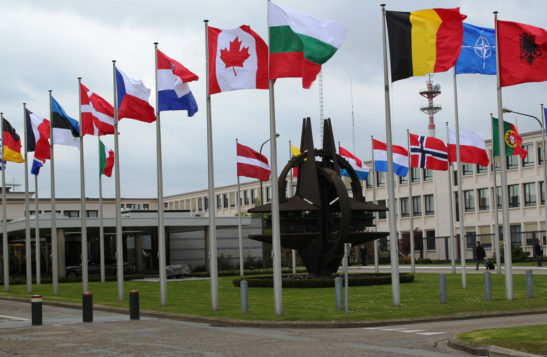 NATO at 60 was supported by the NATO Public Diplomacy Division and was attended by the British Defence Secretary Lord John Hutton and Lieutenant General Karl Eikenberry, Deputy Chairman of the NATO Military Committee. Attendees commemorated the occasion and discussed themes such as the new Strategic Concept for NATO, ‘winning’ in Afghanistan, and how to create a stronger European security architecture. Our further conferences on NATO have included NATO partnerships in a shifting strategic landscape, The transatlantic strategic partnership in a globalised world, and Assisting host country militaries: assessing lessons from NATO, EU and member state experiences. All have discussed and assessed important NATO initiatives such as the 2010 Strategic Concept, the transatlantic strategic partnership, NATO’s place and utility in a changing world, and the strengthening of regional security and stability through both present and future NATO partnerships among others. Wilton Park has held a long partnership history with NATO including the NATO Headquarters located in Brussels, NATO Defence College in Rome, NATO Public Diplomacy Division, and the Allied Command Transformation. Consequently, Wilton Park has hosted various conferences and events in partnership with NATO organisations such as Connected forces, educated minds: transformation and professional military education which was held in association with NATO Defence College and the Allied Command Transformation as well as the UK Defence Academy. Our partnership with NATO organisations allow us to have strong discussions in our conferences by expanding our programmes and encouraging involvement from broad experts and participants across the world, generating strong and intellectually challenging sessions. As a significant Alliance in modern day affairs we will continue to work with NATO and its sister organisations addressing current and future issues and are currently on schedule to hold an upcoming conference on NATO later this year focusing around the Alliance and the Far East.